A car and City of Spokane dump truck were involved in an early-morning collision Thursday in Spokane, according to Spokane Police. The incident occurred around 1:30 p.m. at the intersection of East Sprague Avenue and North Freya Street. A PT Cruiser and the dump truck crash left an occupant of the car injured. They were transported to a local hospital in stable condition. The intersection is expected to remain closed during the morning commute Thursday morning, police said. Further information about the incident is not available. The investigation into what happened continues. Is the Driver’s Employer Responsible for the Accident? The above are just a few ways that business owners and organizations can be held responsible or liable for damages caused in a dump truck crash. Hiring an experienced personal injury attorney that knows the ins-and-outs of these collisions can be the key to maximizing an injury claim. 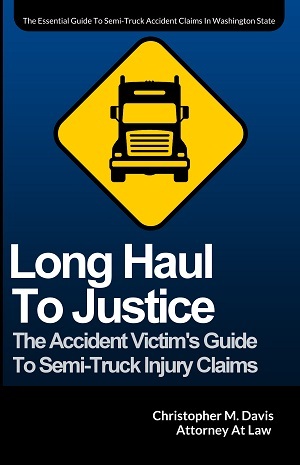 If you or somebody you know has been injured or killed in a dump truck accident, you will need somebody with the knowledge and resources necessary to fight this battle with you. The dump truck’s insurance company will do everything it can to mitigate the cost of your settlement, or to deny you payment. For a free case evaluation with an attorney at Davis Law Group, call (206) 727-4000. Our attorneys have helped victims across Washington state recover millions in compensation for the past 25 years.